Some people say that being a parent is the hardest job of all. There certainly is no limit on the responsibilities that accompany parenthood. Whether you work full-time, are one of the many stay-at-home moms across the country, work from home or work full-time in your home, chances are good that you may want to make extra money. If you’re looking for the best jobs for stay-at-home moms, this post provides legit ideas to consider. I know from experience how exhausting it can feel at times being a parent. When I worked in an office, I found it stressful to make sure my son got to and from school on time. I often had to request sick days at work when he wasn’t feeling well, and found it a daily challenge to keep my home organized and put dinner on the table each night. Now that I work from home, my life is not stress-free by any means but I do feel I can parent and run my household better. This means I have the time and availability to pick up my son from school each day and do homework with him. I can put dinner in the oven or in the crockpot at 1:00 p.m. and keep an eye on it while I work. I can get up at 6:00 a.m. and start working if I want to, or I can run errands first then begin at 9:00 a.m. The flexibility of working from home can provide you with a lot of benefits like these that parents especially need. 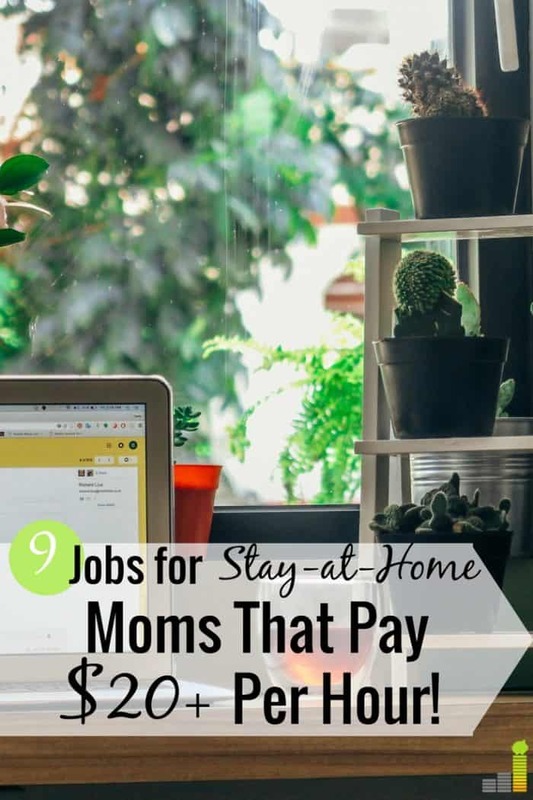 If you are looking to work from home as well but are not sure where to start, here are nine of the best jobs for stay-at-home moms. Did you know that you can make $20+ per hour as a proofreader? That earning potential makes this one of the best jobs for stay-at-home moms. Quality content is crucial today. If you can spot errors and grammar mistakes quickly, you may have a shot at being a work from home proofreader. Not only is this one of the most legitimate online jobs for stay-at-home moms, but like driving for a ridesharing service listed below, working as a proofreader is one of the best jobs for stay-at-home moms with no experience, but with an eye for well-written, grammatically correct content. This would most likely be a freelance position where you’d need to find your own clients, but you may be able to find some companies willing to hire a remote proofreader to go over their content. Your best bet is pitching prospects on your own if you want to work from home. A great resource to help you get started is Proofread Anywhere. With Proofread Anywhere, our friend Caitlin Pyle, shares the tools tips she used to build her own freelance proofreading career. The virtual workshop is free to attend and provides the strategies you need to succeed at making $20+ per hour as a proofreader. Do you have a particular interest, or simply like to spend considerable time online? If you answered yes to either of those questions, you can make money as a blogger. Blogging is the perfect job for stay-at-home moms as all you need is a laptop to run a website. If you have an interest in any of the above areas, you can turn that into a money making venture. How much do bloggers make? It varies, but it’s definitely possible to make $2,000+ per month within your first year of blogging – and often with less than 25 hours of work each week. What if you’re not technically inclined? You can still make money blogging. Bluehost is a hosting company that does all the technical work to get your blog up and running. With one click they install your site, plus give you a free domain name for a year. They also provide 24/7 support to answer any questions. They do this for just $2.95 per month, with a 30-day money back guarantee. The opportunity is endless, and many make a full-time living running their blog from home. Open a Bluehost account and get started today. You must have a bachelor’s degree and a valid teaching certification to be considered. You can also find virtual teaching jobs on sites like VIP Kid. VIP Kid requires a college degree, or you can be in your last year of college. You’ll be teaching English to students across the world. You can earn up to $20, per hour, and they provide all lesson plans and handle many of the administrative duties related to teaching. All you need is a laptop and at least six hours a week to devote to teaching. HAWO is another great option to teach students overseas, using an experiential based teaching approach. HAWO pays up to $22 per one hour of teaching. Part of being a Mom is running errands and your kids to different activities. Why not get paid to drive other people around town? This may be a bit of an odd job for some, but if you have the time driving for a ridesharing service can be one of the best jobs for stay-at-home moms with no experience. Lyft is a good option for stay-at-home moms looking to make extra money. They’re currently offering a $1,000 earnings guarantee in your first 30 days. You just need 125 rides in the first 30 days to reach the guarantee. If you have a flexible schedule, using your car can be one of the best jobs for stay-at-home moms looking to make an extra buck. Make sure to check out our guide on how to get paid for driving your car to maximize earnings. Do you like to find deals or love Target? You can turn that love of the deal into a money making opportunity by becoming an online reseller. Being an online reseller is relatively simple idea. When you find an item you believe holds greater value than the sales price, you buy the item and sell it through the Amazon FBA service. Amazon has a big marketplace people use to buy and sell items everyday, to all over the world. When you sell the item, you pocket the difference and make a profit. This is the perfect job for a stay-at-home mom who wants to add extra money to their family’s budget. Being an online reseller does sound simple, but it does take some strategy and outlay of cash to start. If you have a spending problem, this may not be the opportunity for you. If that does not describe you, this is a legit opportunity to make extra money. You don’t have to store merchandise, handle shipping, or deal with customer service by using the Amazon FBA service. Amazon handles all of that for you. You simply provide the product to Amazon to sell. If this sounds like an opportunity you would enjoy, check out The Selling Family. They offer a free 7-day course that teaches you all the steps you need to start a store and be successful. Many online resellers make six figures per year working from home. It takes work and effort to reach that level, but it’s certainly doable. Sign up for the free 7-day course to start your own Amazon FBA store. A virtual assistant (VA) is one of the best online jobs for stay-at-home moms. A VA is someone who works online, or remotely, as a personal assistant for a businesses or entrepreneur. Virtual assistants manage a number of various tasks including social media management, email management, data entry work, scheduling meetings, sending invoices, customer service, online research, blog management and more. If you are organized, communicate well, and have basic computer skills, you can most likely make this role work for you and may find it one of the most enjoyable jobs for stay-at-home-moms. Some VAs are highly skilled in specific areas and use that to market themselves. You probably won’t be an expert at everything, which is why it’s best to have a focus area as well. Be mindful that most clients will show you exactly what they need done and provide basic training if they already have a process in place. Beginner VAs can earn anywhere from $15 – $20 per hour while experienced ones can earn $30+ per hour. My friend Kayla started out as a part-time VA and now runs her freelance VA business full-time. She earns over $10,000 per month working from home as a VA. This means that being a VA has the potential to be one of the best high paying jobs for stay-at-home moms. She offers a course, aptly named 10kVA that gives all the tools and resources needed to launch your own VA business. If you’re interested in starting your own freelance VA business, sign up for her course to learn how you can start earning money as a VA.
Shopify is a platform that helps you set up an e-commerce site. They provide a wealth of training resources to help you launch your site, and they also help you design the site so it looks professional. They also help you manage many of the administrative aspects of running the business from handling payments to managing taxes on purchases. Shopify offers a free 14-day trial to get you up and running and they offer a variety of paid plans after your free trial is over. You get to pick which one meets your needs and can change at any time. Check out our guide on how to make money on Shopify to learn more about this possibility to make money from home. No, taking surveys will not amount to the same as income from a full-time job. However, taking surveys can be a great way to monetize your downtime and put some extra money in your budget. The key is to find surveys that don’t waste your time and provide ample opportunity to earn income. Survey Junkie: This is our favorite survey site. They pay you cash straight to PayPal or let you redeem rewards for Amazon gift cards. You may ask is Survey Junkie legit – they are, and they’re one of the best sites in the space. Ipsos i-Say: Ipsos is one of the oldest survey sites in the market, starting in 1975. Ipsos offers a wide variety of survey and product testing opportunities, with a low redemption threshold of only $5, or 500 points. Inbox Dollars: Earn money for taking surveys, watching TV or making purchases online. Get $5 just for signing up. Surveys will not replace your income but they can be a good way to pad your savings account in your spare time. Graphic designers create visual concepts using computer software (or by hand), to communicate ideas for an audience. 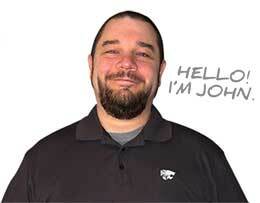 They design brochures, websites, logos, flyers, magazines and a variety of ads. Since most graphic design work is done online these days, this is a great work from anywhere job. If you have knowledge of and access to graphic design software, and have an artistic bent, working from home as a graphic designer could be one of the best jobs for stay-at-home moms for you to consider. You can find graphic design work on job boards like FlexJobs. You can also strike out on your own and sell your own designs online to make an income. Make sure to use the promo code “AFFILPROMO” when signing up to get 30 percent off! Fiverr is great if you’re just starting out. Yes, gigs are low paying, thus the $5, but the money is in the add-ons you can provide. 99Designs matches freelance designers with clients who need any variety of design work. You can also bid on contests, and if you win the contest you get the job. CafePress is great if you like to design pretty much anything. With CafePress you can design anything from coffee mugs to clothing and sell your items to make money. If you’re interested in fashion and style, Stitch Fix is almost always hiring work from home fashion stylists. Stitch Fix is a popular fashion subscription site that sends customers hand-picked clothing styles based on their needs and preferences. Each customer fills out a style profile along with their sizes when they sign up then that’s where you come in. As a virtual stylist, you’ll pick pieces that you think certain customers would like to fill their subscription boxes. You don’t need a fashion or merchandising degree to do this job and it pays $15 per hour. So if you enjoy fashion or like helping people find outfits they feel great in, this is one of the jobs for stay-at-home moms worth a second look. Not all work-from-home jobs are equal. There are many opportunities for legitimate work-from-home jobs for stay-at-home moms, but the space is also filled with a number of not so legit opportunities. These “opportunities” can often turn into a money-losing situation, or one where you pester your friends to make a buck. Some online jobs for stay-at-home moms can require you to pay a fee. You don’t want to involve yourself with something that’s going to require you pay any type of regular fee. The only purpose this serves is to make someone else money. Another common ploy in the online job space is promising crazy income for your investment of time, and often money. This is a scam and largely only meant to make someone else money. MLM companies are popular with many stay-at-home moms. Some are able to be successful with a MLM company, but by and large, most end up making nothing. You’ve heard of some of the companies: Amway, Melaluca, Norwex and Pampered Chef are just a few examples. Only a small handful of people make money with them and the majority end up with lots of product they can’t sell. There are many legitimate online jobs for stay-at-home moms to be found, but it pays to do your due diligence before jumping in to anything. One thing many overlook is keeping track of business expenses and income. As a work-from-home Mom you need to monitor both for taxes. If you have multiple sources of business income, or multiple expenses this can be a challenge. The last thing you want is to cause extra work or stress come tax time. Worse yet, you don’t want to miss something. This is where our favorite new tool, Hurdlr helps. Think of Hurdlr as an assistant, right on your phone. With the Hurdlr app you can monitor all your business income and expenses. You can use Hurdlr to connect to business bank accounts or credit cards. The app automates all of your transactions to go into the app. The dashboard of the app lets you see what you’ve made and spent, helping you come tax time. The app has many other features, including mileage tracking and tax estimator. Hurdlr has two main options – a free version and one that costs $7.99 per month (if you sign up on an annual basis the price goes to $4.99 per month). The free version is great for side hustles, or for those that work at home. The premium version offers several more tools, including unlimited mileage tracking, tax deduction help, and more. Many of the best jobs for stay-at-home moms pay at least $20 per hour. You will find some variance, depending on your skill level, but you should expect to make around $20 per hour. This depends on your particular situation. If you have younger kids you’re likely able to work during nap times, or in the morning or evening. If your kids are in school, that is the best time to get work done. In most cases you don’t need anything special to work from home. If you have reliable Internet, self-discipline, and a devoted work environment you can do many of these jobs. What are the best flexible jobs for stay-at-home moms? Typically the best flexible jobs are ones you can do on your own, without having to report to a company. This can include freelance arrangements, or jobs that allow you to set your own schedule. Check out our guide on legitimate work-from-home jobs to find additional flexible jobs. 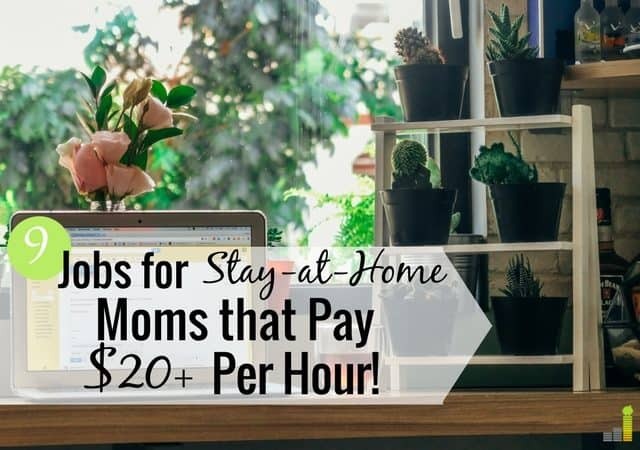 The best jobs for stay-at-home moms let you bring additional income into your home by using your skills, interest or experience while doing something you enjoy. There are many opportunities out there, so you can afford to be picky in what you select. Keep in mind that many of these work-from-home jobs for moms are freelance positions meaning you’ll have to pay for your own benefits and taxes. If you want to avoid this, consider search engine evaluation jobs or online customer service positions where you’ll be considered an actual employee of the company. What are some other work-from-jobs you might you’ve seen people use to make good money? What kind of job are you interested in landing? These are great tips! 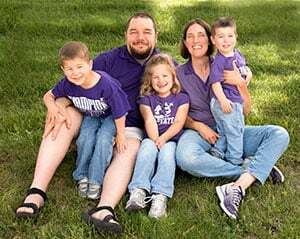 Though we don’t have kids yet, both my husband and I have worked together to try to establish means to a flexible life. For me, that meant I started freelance writing a few years ago so that I would have another career option if we ever needed greater flexibility. It’s definitely smart to explore flexible career options whether you have kids or not! How would you find companies that hire these types of workers? I would LOVE to work for Stitch Fix (but they aren’t hiring in my area), and I love the writing/proofreading jobs, but I dont know how to find an employer. Another thing about MLM scams-they ruin relationships. I have been roped into 2 and when I got out and refused to join a “close friend’s” Melaleuca scam, it ruined our friendship. I’m now blocked. You’re exactly right on the MLM scams Sarah. I’ve seen it happen a few times myself. I’m not certain if you can work from home in Medical Coding and Billing. For VA work, I’d highly recommend the 10kVA course offered by my friend Kayla. She provides all the steps needed to get started and has a lot of great tips of how to stand out and get work.